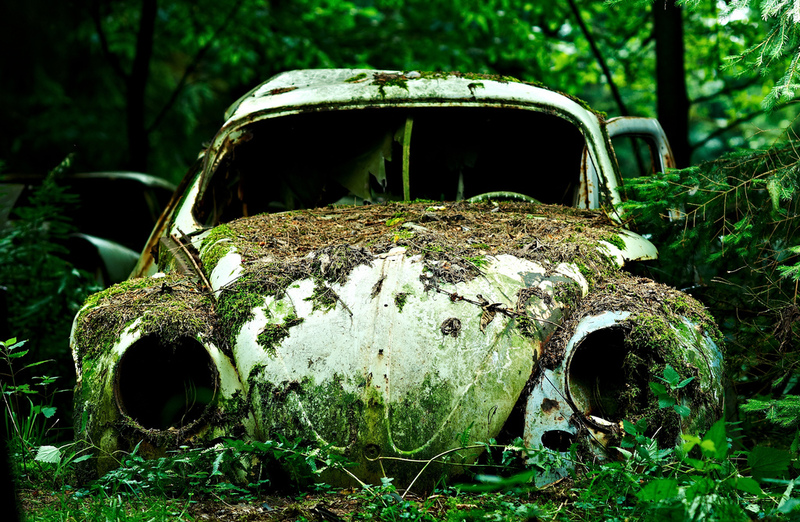 Photo by Matthias Weinberger, used under Creative Commons licensing. Editor's note: This post is an excerpt from a presentation given by Keith Bowers last month. Read the full presentation at Biohabitats' Rhizome blog. For me, the future of restoration is currently planted in two camps, with a lot of in-between space. And while these two camps may appear to be diametrically opposed, I believe that the survival of each, and possibly the survival of wild nature, is wholly dependent on the ability of both camps to prosper. The key, I believe, is context and connectivity. And that is where we, as restoration practitioners and restoration ecologists, can make a difference. Several years ago I was invited to participate in workshop on islands in the Puget Sound led by Richard Hobbs, Eric Higgs, and Jim Harris along with a cadre of restoration ecologists, conservation biologists and scientists from around the world. We debated, developed, and put to song (that’s another story after a few beers) the beginning foundations behind the concept of novel ecosystems. Novel ecosystems are ecosystem that have been highly altered by human agency, at relatively rapid temporal scales, that have no historical analogue, and which are posing new and challenging conundrums for how to restore and manage ecosystems. A roadside plant community. Photo by Colin, used under Creative Commons licensing. Based on my practical experiences as a restoration practitioner, a lot of this made sense to me. Practicing in highly disturbed landscapes, many of us can relate to the difficulty of developing an historical reference template for restoration. Our sites are often times so altered that for both practical and economic reasons, we are left with applying restoration approaches that favor certain ecosystem processes or species compositions, or require extensive ongoing management. I am finding that restoration is often combined with other approaches, including ecological engineering, bioengineering, biomimicry, and so on. Nothing is wrong with this. No doubt we are changing the face of this planet at dizzying speeds, and that through urbanization and resource consumption, we have greatly altered the natural landscape and its associated ecological processes and functions. In many cases, it makes little sense to invest the time, resources and energy required to restore all of these ecological functions back (or forward if you will) to a natural state. In many cases we don’t have the technology and we certainly don’t have, sadly, the political, social, or economic will to do so. Unless we, as a society, are prepared to spend millions of dollars a day (not without precedent – our nation managed to spend upwards of $70 million a day to sustain the Iraq and Afghanistan wars) to fully restore the full suite of ecosystem processes and functions we have lost, we are then left with restoring lands that prioritize and emphasis certain ecosystem services – within a novel context, to mostly benefit us, first and foremost. Nature takes a back seat. While some of us can argue that this is highly regrettable, others will say this makes the most practical sense given current population growth, resource consumption, and our need to thrive in a rapidly changing world. So I have one foot firmly planted in the Novel Ecosystem World. 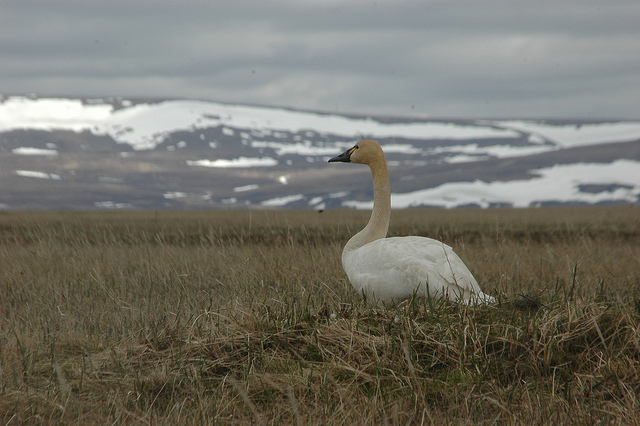 A tundra swan in the Yukon Delta National Wildlife Refuge. Photo by Alaska Region U.S. Fish & Wildlife Service, used under Creative Commons licensing. 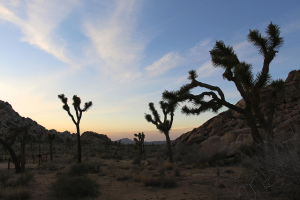 Joshua trees. Photo by Jean-Michel Villanove, used under Creative Commons licensing. Just this week a paper written by a team of 24 international scientists and headed by Nick Haddad, a professor at North Carolina State University, reported that “Nearly 20 percent of the world’s remaining forests are the distance of a football field—or about 100 meters—away from forest edges,” and seventy percent of forest lands are within a half-mile of forest edges. That means almost no forests can really be considered wilderness.” It also means that we are losing. We are continuing to slice and dice the landscape into thousands of pieces, not really seeing the forest for the trees. So my other foot is firmly planted in the camp of large, interconnected landscapes. Unlike the perspective that nature is a resource, to be used, exploited, designed, shaped, and morphed to our liking, this camp views the landscape as part of a greater whole, in which nature serves all life on Earth without preference or bias to us. I argue that if we lose sight of that whole, not only do we jeopardize all other life on this planet, we jeopardize our very existence. So the future for me is framed by the need to recognize that the concept of novel ecosystems provides a useful foundation for deciding how, when, and where, to apply restoration to highly disturbed landscapes; and simultaneously by the need to champion, support and enable restoration initiatives that leverage the conservation of large, intact interconnected land and seascapes across North America. To do this, I go back to the notion of context and connectivity. We need to ensure that all of the restoration we do is placed within a greater context of supporting the idea of large landscape conservation. This will obviously mean different things for different sites. Ultra urban sites may support large landscape connectivity and conservation very differently than a site bordering on a regional park or in a rural setting. 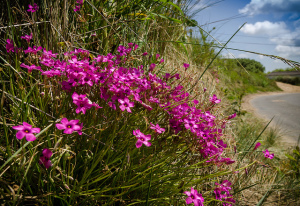 More importantly, it means that we need scientifically robust and socially inclusive policies to frame and give shape to large landscape conservation measures that are grounded in bioregional attributes. And we need to demonstrate to the public that this is essential for ensuring our long-term health, prosperity and happiness.